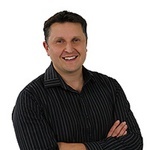 Matt Tett is the Managing Director of Enex TestLab, an ISO 9001 certified and ISO 17025 accredited independent testing laboratory with over 25 years history and a heritage stemming from RMIT University. He is responsible for establishing and overseeing all eight operational divisions, delivering successful projects to 92 industry sectors across a number of global markets. He has a deep technical background in networking and security, and combines this with decades of high-level senior management and global business development. Matt holds the following security certifications in good standing CISSP, CISM, CSEPS and CISA. He continues to invent, collaborate, write apps, consult, and give talks worldwide. He is a visiting scholar at University of Pennsylvania. Kim Zetter is an award-winning investigative journalist and author who covers cybersecurity, cybercrime, cyber warfare, privacy and civil liberties. She has been covering computer security and the hacking underground since 1999, first for PC World magazine, and then for WIRED, where she has been reporting since 2003 and is currently a senior staff writer. She has broken numerous stories over the years has three times been voted one of the top 10 security reporters in the nation by her journalism peers and security industry professionals. In 2005, she was a finalist for an Investigative Reporters and Editors award for a series of investigative pieces she wrote about the security problems with electronic voting machines and the controversial companies that make them. In 2006 she broke a story for Salon about a secret NSA room at an AT&T facility in Missouri that was believed to be siphoning internet data from the telecom’s network operations center. In 2007 she wrote a ground breaking three-part story for Wired on the cybercriminal underground, which exposed the world of online carding markets and the players behind them. In 2010, she and a Wired colleague broke the story about the arrest of Bradley Manning, the former Army intelligence analyst accused of leaking millions of classified U.S. government documents to WikiLeaks. In 2011, she wrote an extensive feature about Stuxnet, a sophisticated digital weapon that was launched by the U.S. and Israel to sabotage Iran’s uranium enrichment program. 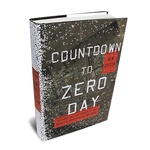 She recently completed a book on the topic titled Countdown to Zero Day: Stuxnet and the Launch of the World’s First Digital Weapon published by Crown/Random House in November 2014. Peter Gutmann arrived on earth some eons ago when his physical essence filtered down from the stars, and he took human(?) form. Lingering for awhile on the plateau of Leng while waiting for the apes to evolve, he eventually mingled among human society, generally without being detected, although the century he spent staked out in a peat bog in Denmark was rather unpleasant and not something he’d care to repeat. Once computers were invented he became involved in security research in the hope that enough insider knowledge would, at the right time, allow him to bypass electronic security measures on the first translight spacecraft and allow him to return to the stars. This is probably still some time away. Until then he spends his time as a researcher at the University of Auckland, poking holes in security systems and mechanisms (purely for practice), and throwing rocks at PKIs. Dr Sally Ernst has a rare and enriched background blending prominent industry research, business leadership, entrepreneurship, board governance, creativity, innovation, investment band government exposure in an international context. Some related press links can be found here. Sally is currently co-founder and MD of the UK and Australian Cyber Security Networks, which focus on holistic immunity from cyber threats. It does this through strategic internet security innovation; and, by engaging organisations at Board/ owner level to help them understand cyber security in the context of their business and its interconnected ecosystem, decide how to protect their organizational assets in that context, and act on those decisions. Facilitating the CSNs track-record of engagement with organisations at Board and Company Director level in the UK and Australia, Sally has held Board roles in both countries, including WebCentral Complex , The London Entrepreneurial Exchange (Chaired at the time by Sir Richard Branson), CloudStaff , The Institute of Management Consultants , and Entrepreneurs’ Organisation UK-London, where she increased female membership by a third during her term as Chair. 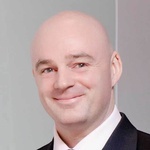 Preston Hogue is currently a world wide security evangelist and Director of Security Marketing Architectures at F5 Networks, Inc.
Preston was previously a Security Product Manager at F5 specialising in network security and Governance, Risk and Compliance (GRC) for F5’s product portfolio. Preston first joined F5 as a Security Architect where he architected F5’s current Information Security Management System (ISMS). Preston has a successful track record of building out Information Security Management Systems (ISMS) with Security Service Oriented Architectures (SSOA) enabling enhanced, integration, automation and simplified management. Preston’s career began 18 years ago performing Operational Security (OPSEC) Audits for the US Air Force. Prior to F5, Preston was Director of Information Security at social media provider Demand Media where he built out the information security team and their ISMS which included PCI, SOX, OFAC, DDoS and DMCA programs. Preston currently holds CISSP, CISA, CISM, CRISC industry certifications. Tim Treat’s focus at Palo Alto Networks is explaining the Enterprise Security Platform’s relevance and transformational pivots that protect enterprises and prevent attacks. He has over 20 years of experience in Network Operations and Defence. Tim began his career in the United States Air Force as a communications electrical engineer. In the Air Force, he led global fixed and deployed organizations performing Engineering and Installation, Combat Communications, Network Operations and Security Operations. After transitioning from active duty, Tim spent four years working with commercial industry at Mandiant. The experience he gained leading federal and commercial Network and Security Operations provided an in-depth understanding of challenges faced by governments and industry verticals. Tim uses his experience to help organizations incorporate enterprise resilience, prevention and protection into Network Operations and Defence convergence strategies. Francis is a security strategist with experience spanning, consulting, architecture, operational and management in various industry sectors. He is passionate about the role of security in innovation and how leadership can influence or transform modern and future businesses. Francis is an active and passionate and active contributor in the infosec industry, and a pragmatic future thought leader in security. Anu is the Head of our Cyber, Privacy and Resilience practice. He brings over 17 years’ experience within mission-critical organisations in the USA and New Zealand. He is a trusted advisor to C-suite teams and coaches and mentors senior leaders. 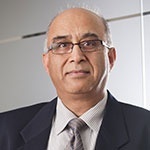 Anu has led and managed over 500 sensitive or highly complex security and forensic investigations, and independent inquiries in his career, including crisis event responses associated with cyber and physical attacks, severe business interruption and fraud events. Anu recently led the development of a global payment card industry approach and operating model for cloud services to harness the power of cloud safely. He connects the dots and the people to make big things happen. Anu sees it as privilege to help his clients when the going gets tough; and to enable them to go digital, turn data into insight, and create bolder, “safe and strong” businesses. Mike has been in IT support roles for the last thirty years and neck deep in information security management for the last fifteen years. He left Telecom NZ as Operational Security Officer last May after eighteen years to join the NCSC as Senior Network Security Consultant. He is also a co-founder and board member of the New Zealand Internet Task Force (NZITF) and founding committee member of iSANZ. Mike represents both NCSC and NZITF on a number of domestic and international trust groups and security forums and he’ll also happily talk to anyone willing to listen about beekeeping. James has nearly 20 years’ experience in the IT Security industry, with a focus on the design and implementation of secure network architectures. As an enterprise security expert, James is responsible for advising technology and business groups within enterprise and government bodies on the design of robust and operationally efficient security architectures and solutions. James has worked with a broad range of industries including banking and finance, carrier, state and federal government and utilities. 21 years in the software development and IT security industry. BSc Hons in Computer Science and Software Engineering. Performed lead developer to system architect roles for companies such as British Maritime Technology, Ericssons UK, Telecom NZ, IBM NZ, T-Mobile Germany and Vodafone UK. Founded Aura Software Architects in 2001 as initially a boutique software architecture firm, operating to government agencies in Wellington. This grew to Aura Software Ltd in 2003 where we developed several systems including one used by Microsoft globally today. In 2006 we specialised in IT security consulting founding Aura Software Security Ltd (now Aura Information Security) and then Aura RedEye in 2009 as our managed services business. The Head of Enterprise Security is responsible for the organisations entire security posture. The key aim being to protect the critical assets of the Bank of New Zealand, namely Human Capital, Property, Operations and Reputation with the greatest effectiveness. The role of the Head of Enterprise Security is to: Lead the related security disciplines according to the BNZ vision and strategy. Provide leadership, strategic, operational and tactical capability from business security risks originating domestically and internationally. Serve as the enterprise focal point for security incident response planning and execution. Provide a security architecture characterised by appropriate awareness, prevention, preparedness, and responses to changing threat conditions. With almost a decade of experience in software development, penetration testing and information security, Laura specialises in bringing security practices and culture into organisations of every shape and size. Known for her no-nonsense, plain English approach, she has made a career from challenging traditional fear based formal governance approaches. 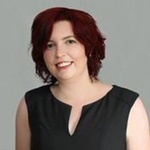 An experienced conference speaker and regular panel member, Laura has spoken at a range of events including Kiwicon, Linux Conf AU and Microsoft TechEd on the subjects of privacy, covert communications, agile security and security mindset. She is Vice Chair of the New Zealand Internet Task Force (NZITF) and the founder and lead consultant at SafeStack (http://safestack.io). She lives in Auckland, New Zealand with her husband and daughter. John-Paul manages Cisco’s Security Portfolio here in New Zealand. John-Paul continues to assist New Zealand companies and government agencies to understand the risks that they face and advises them on ways to manage or mitigate these risks, especially now with move to Cloud, Mobility, The Internet of Everything and the impact of advanced malware threats. Security has become more important than ever. Before joining Cisco, John-Paul was formative in building the largest independent security consulting team in New Zealand. John Ellis is Chief Strategist – Cyber Security at Akamai Technologies. 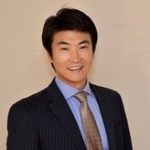 He is an experienced thought leader with more than 20 years of IT security strategy and technology solutions experience and has spent the last nine years in Asia. 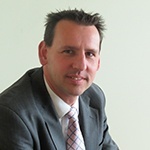 John has held senior technology positions in Standard Chartered Bank, Barclays Capital and Telstra. John is responsible for providing thought leadership and advocating Akamai’s security technologies to help customers address their business problems in cyber security. Geordie is a technologist and online policy commentator and analyst. 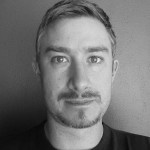 He has worked with a range of organisations including Electronic Frontiers Australia examining copyright, privacy, surveillance, censorship and digital regulation. Raoul is a senior information security leader with 15 years’ experience, predominantly working on the inside of financial services, insurance and government agencies. Coming from a technical background to help bridge the divide between technology and business. Raoul’s current focus is in a greenfield environment, building the security culture within which to manage financial payments and big data systems. 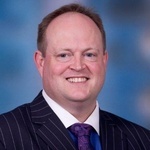 Mark is a Director or RMSEC and has 14 years experience in Information Technology, 12 years of that has been specifically focused on the delivery of information security and technology risk management services to clients in the financial services, government, utilities and commercial sectors across the Asia-Pacific, United Kingdom and North America. Jinan is a people and business focused Information Security leader with a career spanning 14 years, where she has had the privilege of practicing locally in Australia as well as globally in North America, Europe, the UK and the Middle East. Jinan has worked in world leading organisations such Forrester Research, KPMG, PWC and locally in Australia in orgnisations such as CBA, NAB and UGL. Her clients have spanned many sectors including financial services, local and federal governments giving her a rare insight into some of the success and challenges facing modern day security leaders and their organisations. 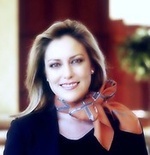 During her time with Forrester and beyond, Jinan’s research, publications, passion and engagements have centered around building and maintaining effective security programs through a razor sharp focus on the importance of leadership and communicating the business issues and value of the security programs to organisations, their end users, executives and boards. Sometimes described as a “Serial CTO”, Paul’s expertise in telecommunications network design, planning and operation is derived from extensive hands-on experience in Broadband Access and large-scale data networking. His practical and pragmatic knowledge of communications protocols, leading equipment suppliers, carriers & service providers and the Australian regulatory environment has been forged through consulting projects and executive positions in carriers large and small. 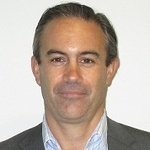 He is one of the few people in Australia with direct experience in wide-scale residential NGN access network deployment and broadband video delivery through his appointment as Chief Technology Officer at TransACT Communications in Canberra, and he has served as CTO for a number of other carriers and start-ups, including Global One, eCOM, and currently as GM Networks & Technology for Trident Subsea Cables. As head of the Communications Alliance NBN Taskforce, he lead the telecommunications industry engagement with the early stages of the NBN across multiple parallel workstreams. Within the Internet Society of Australia Paul advised the Commonwealth Government on issues regarding ISP content filtering, and most recently lead the technical analysis of the proposed metadata retention legislation and co-authored the submissions to the current reviews. Paul is an active participant within the Communications Alliance (formerly ACIF) and the Australian ISP community. 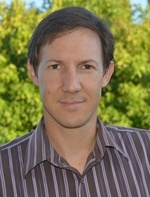 He has a BSc (Hons) in Physics and Computer Science from the University of Adelaide, and a Ph.D. in Astrophysics from the University of New South Wales. 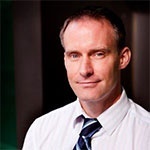 Alistair’s previous experience includes roles as a Cyber Security Executive in CSC, the Australian Defence Force, including Australian Signals Directorate, and as an Assistant Director of the Australian Government Attorney General’s Department where he trained the Prime Minister and Cabinet’s APEC 2007 Taskforce in security. 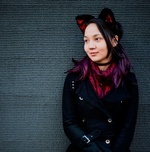 Christina works as an infosec consultant by day and is a breaker of things by night. She has attended and presented at local and international conferences on social engineering and psychological manipulation and has won highest scoring OSINT report for two years in a row in the DEFCON Social Engineering CTF. She’s an active and passionate contributor in the infosec industry, and a strong believer in user privacy, free expression, and innovation. She also loves cats. Simon is a seasoned executive in Technology Management, Information Risk Management, Security, Technology Risk and Compliance (Security & Quality). He is the General Manager Information Security & Technology Governance for Tabcorp Holdings – a publicly listed company on the ASX and one of the largest gambling and entertainment groups worldwide. He is a member of the Technology and the Risk management leadership team reporting directly to the CIO. Simon has over 15 years’ experience leading financial services, Government and Retail Information Security & Risk divisions. He is customer focused, an outcome driven leader, passionate about leading and building teams that deliver business results, with broad experience in addressing emerging technology implementations in broad segments of industries, with a passion to addressing external regulatory requirements. Prior to Tabcorp Holdings, Simon has held the position of IT Security & Risk manager at AXA, AMP, The Transport Accident Commission and a prior role as the Network Security Manager at Coles Myer. George’s professional life was as a Barrister at Law and as an Advocate and Solicitor in Singapore where he practised shipping and admiralty law. He moved to Australia in 1987 where he took up a lecturing position at the University of Ballarat (now Federation University Australia). George co-founded NetConnect Communications, one of the first Regional Internet Service Providers in Australia. Currently he is a Director at Lateral Plains Pty Ltd, with a number of years of IT experience, in teaching, management & consultancy in various companies & projects focusing on regional telecommunications issues and strategies. 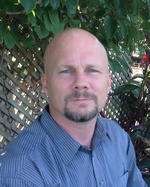 Gary has been working within the Information security field since 1999. Gary joined Fortinet March 2014. Prior to joining Fortinet, Gary managed the Northern Region Engineering Team at Check Point Software and has also held management and consultancy roles within large financial and government organisations. Gary relocated from the UK in 2003 where he worked for a large financial company securing their online banking infrastructure. Gary holds a CISSP certification. Asaf Ahmad has had challenging role in information security management and implementing IT Projects. In the last 15 years, my experience has been in information security management, governance and management of enterprise IT, IT risk management, developing a compliance and assurance program, applying ITIL in establishing and improving IT processes, implement ISO 27001, Disaster Recovery, Business continuity and providing information security advice and assurance to business. In doing so, I have also developed IT and Information Security strategy and currently implemented IT Governance framework. My experience stretch across all areas of IT, continuously maturing, developing security architecture, and carrying out security assessment for cloud hosting, SaaS, IaaS, PaaS, outsourcing, BYOD, Work from Anywhere, social networking, and developing policies. 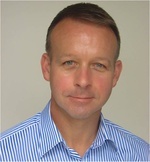 Peter Cooper is the IT Risk Manager for GWA Group Limited, a role he took up in September, 2014. GWA is Australia’s leading supplier of building fixtures and fittings to households and commercial premises. It has a stable of iconic brands including Caroma, Fowler and Dux. A midsized company undergoing a major transformation of business and IT, Peter is tasked with creating the IT risk foundation to support the future of the company. Prior to that he served for long periods in the positions of Group Information Risk Manager for Woolworths, and the Head of IT Security at the Reserve Bank of Australia and Macquarie Bank. He has worked in IT for over 30 years, covering a range of areas including programming, systems analysis, systems programming, and IT audit. For the past four years, he had two terms representing APAC on the Board of Advisors to the PCI Security Standards Council. Sue has a diverse background in Information Security, Risk, Privacy, Compliance, Business Resilience and IT Operations. Her particular interest is in raising the profile and values that security, risk and compliance streams offer through challenging the status quo, building awareness and making them relevant and palatable. She is a member of AISA, ISACA and CSA and has SABSA, CISM, CRISC and CObIT5 certifications. Learning and Teaching Council Citation in 2009. 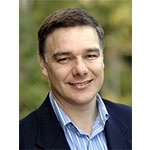 He is the General Chair of the annual Australasian Telecommunication Networks and Applications Conference, managing editor of the Australian Journal of Telecommunications and the Digital Economy and the Australasian Journal of Information, Communication Technology and Applications, an associate editor of the Australasian Journal of Engineering Education and a regular contributor to Business Spectator and other media outlets. 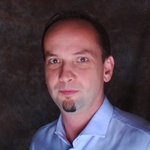 “Stefan is looking back on over 20 years of experience in the ICT Security industry. After having been working with the German hacker group the Chaos Computer Club since 1992, Stefan joined the German industrial giant Siemens as their InfoSec Officer in China in 1999 where he spent several years building the company’s InfoSec organization before moving on the Singapore to develop and execute Siemens’ IT Audit program throughout the Asian-Pacific region until mid 2005. 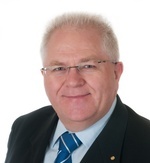 John Lindsay is a business and technology advisor based in Adelaide. He is connecting smart people who get stuff done with investors, customers and partners to build great Australian technology companies. He is a director of several technology companies and an advisor to Simon Hackett’s base64 and Enex Testlabs. After the sale to iiNet Ltd of his employer, Adelaide based national ISP and junior telco Internode, at the end of 2011, John was appointed iiNet’s Chief Technology Officer with an annual network operations budget over half a billion dollars. With a four nation staff of 150 he grew their combined private global IP network to cover eight countries with over 150 gigabits of lit capacity into Australia servicing over one million broadband and mobile end points before departing at the end of 2013. John has been a corporate representative to the Competitive Carriers Coalition and CommsAlliance and is a former director of the Internet Industry Association (now merged with CommsAlliance). He has published an open source Arduino project and is active in social media including the broadband forum Whirlpool. Robert is a security analytics researcher, with a focus on profiling cybercrime using data analytics, aiming to attribute and characterise cybercrime including phishing, romance scams and malware. 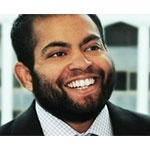 Robert has worked with companies from the banking sector, law enforcement and security industries. 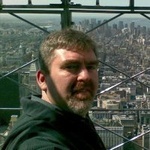 In addition, he is a member of the Security Special Interest Group at the Internet Society of Australia. James Tin is a Senior Enterprise Security Architect with Akamai Technologies covering Asia Pacific + Japan. James has extensive experience in the IT security space, having worked in security for over 15 years, including 9 years in Application Security. James’s current focus is working with customers to increase their cyber resiliency and increase their security posture with Application Security + DDoS for protection. To ensure that online applications applications are; always available, fast and secure. His major clients include the largest financial institutions in Australia, large government departments including defence and education, and other high profile corporations domestically and internationally.